Russia’s cabinet resigned after President Vladimir Putin’s inauguration for a new presidential term, the Russian government press service said in a statement it issued on Monday, May 7. “[Prime Minister] Dmitry Medvedev signed an order on the Russian government’s resignation,” the government said. 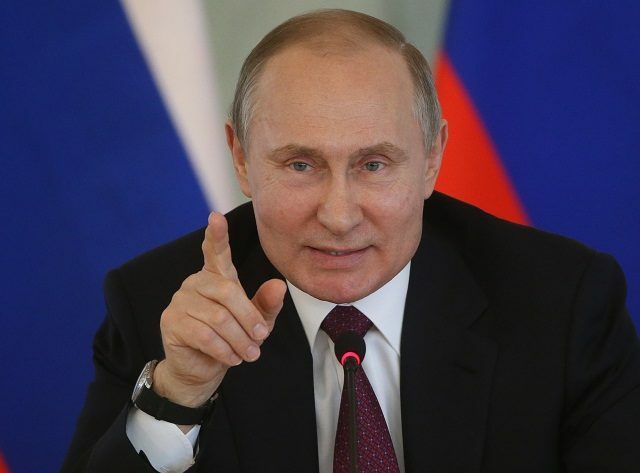 During the Presidential elections, which were held in Russia on March 18, where only 67.54 per cent of voters turnout, Putin won the elections gaining 76.69 per cent of the vote, with over 56.4 million voters casting their ballots for him, according to Central Election Commission data. Meanwhile, Sputniknews reports that Putin has proposed that the State Duma, the lower house of Russia’s parliament, consider the candidacy of Medvedev. “I consider it my duty and reason for my being to do everything for Russia, for its present and future – peaceful and prosperous – for preservation and continuation of our great people, for prosperity in every Russian family. “I will do everything in my power for this!” Putin said at the inauguration ceremony. He promised to do everything possible to increase Russia’s strength and glory. “Dear friends, as the head of state, I will do everything to multiply the level of prosperity and glory of Russia in order to meet the needs of society and hopes of the country’s citizens,” Putin added. 0 Response to "Russia’s Cabinet Resigns as Putin Got Inaugurated For New Term"